CONCEPT: If we are talking about how a robot can balance itself ? then every person know the answer . confused! now i am explaining how you balance your self and robot balance itself. When someone trying to push you then what actually you are doing is walking in the direction of the force this is how you balance yourself and robot balance itself. When you move in any direction then you applying a force against that direction and this force is equal to the force applying on you. If you are not moving in that direction then you will fall towards the plane. 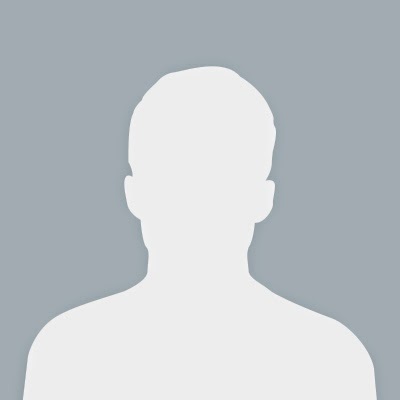 This is all about the action we take but before taking an action we should sensing that in which direction we are leaning this sensing can be done by our eyes and neurons system. 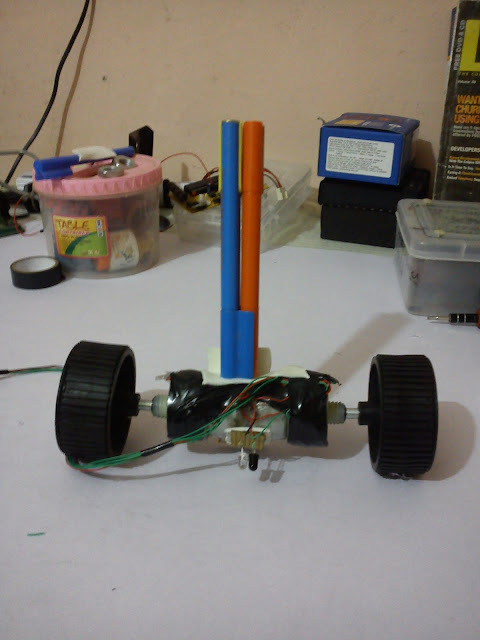 But the robot sense this motion by various sensors for example: IR sensor, Tilt sensors etc. The motors play the role of actuator or movement of the robot. 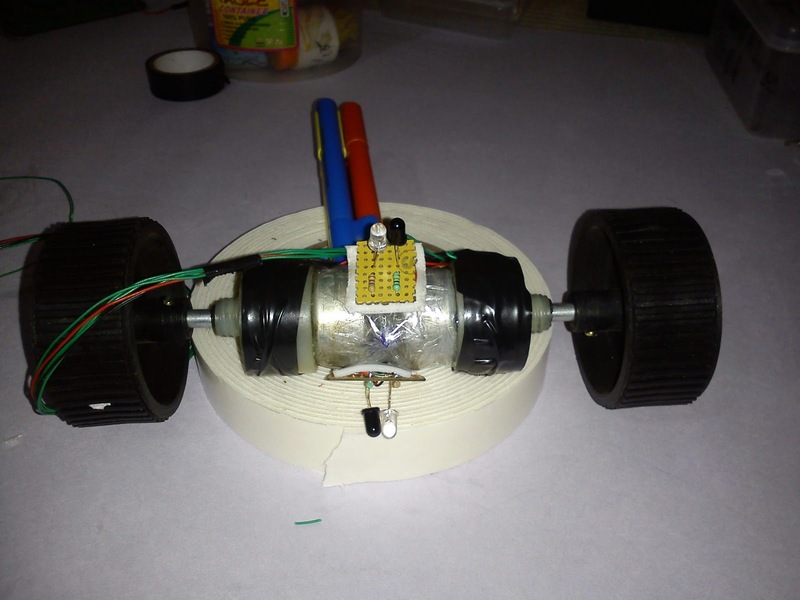 COMPONENT'S REQUIRED: The component's required for making a self balancing robot are very common and are easy available in the market. SENSOR : For making a self balancing robot we can use IR sensors and tilt sensors. I am using the IR sensor's. IR consist of led pair one is IR Receiver and IR Transmitter. 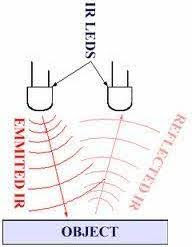 We arrange the IR pair in this manner when the IR transmitter transmits the infrared rays then they are reflected back to the IR receiver. when receiver receives the infrared it will shows the voltage variation at the receiver terminal this output is then goes to the comparator. The circuit of the IR sensor is show into the figure. we can see that we use two resistors one with transmitter and another wit the receiver. The values of the resistors we use are 10k and 330 ohm. 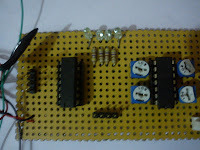 Next we connect a 10k ohm resistor with +5volt and the other end to te -ve terminal of the IR receiver led and this is the output terminal of the circuit. 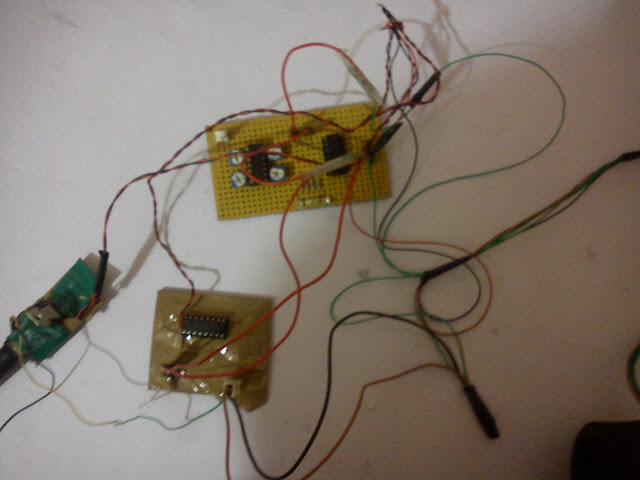 we connect the -ve terminal of the receiver to the +ve voltage because to make this in reverse bias. OP-AMP: The Op-Amp is use to make a decision based on the input comes from the IR sensor whenever the IR sensor detects the surface then the output signal is low and whenever their is an absence of surface then output signal becomes high. 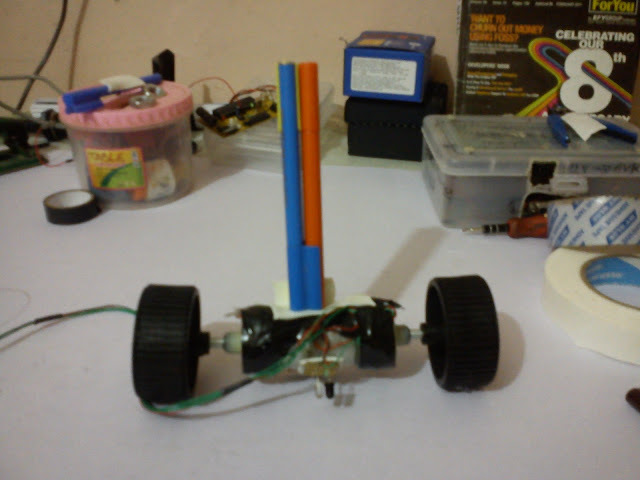 So, we place two IR sensor on both side of the robot. 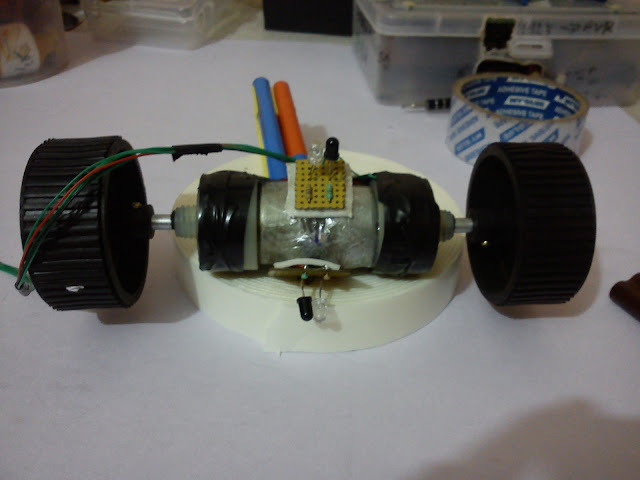 It will detects the surface and generate a two bits data which is further use to operate the two motors. When the robot is leaning in a direction then the sensor of that side will detects the surface and change its value and motors will moving in that direction. 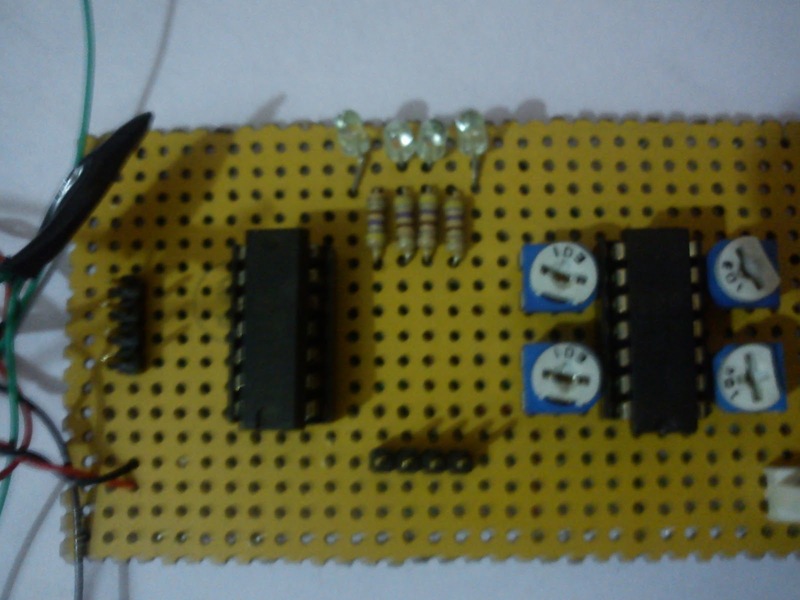 Here the Op-Amp is work in the comparator mode. The figure shows the characteristic of the Op-Amp in the comparator mode.As shown in the figure below. The characteristics of the Op-Amp in the configuration of comparator can be describe as.we can say that when the (v2 is the non inverting terminal voltage and v1 is inverting terminal voltage) v2>v1 then the output voltage will tends to +Vcc and whenever the v2<v1 then output voltage will tends to -Vcc. The output is tends to Vcc but not exactly the Vcc. 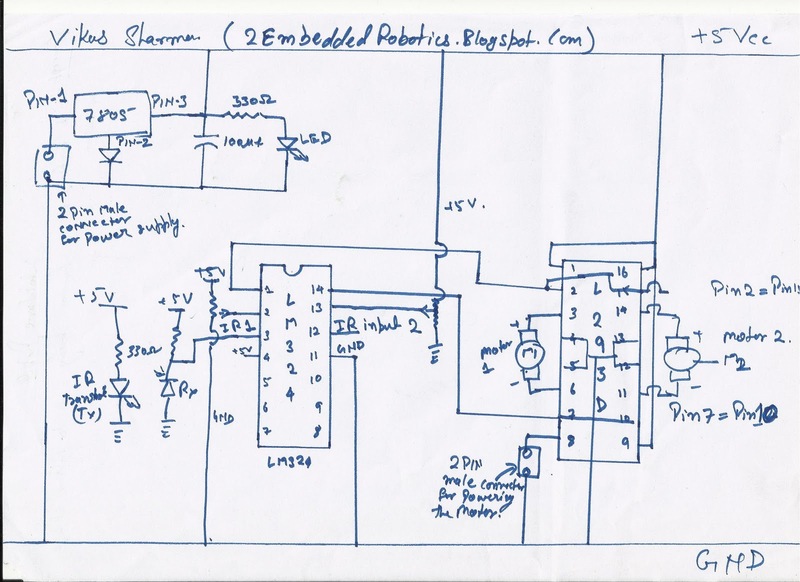 The output will goes to saturation voltage.The Ic which we are using is LM324 and having the four Op-Amp.This Ic is easy available in the market. 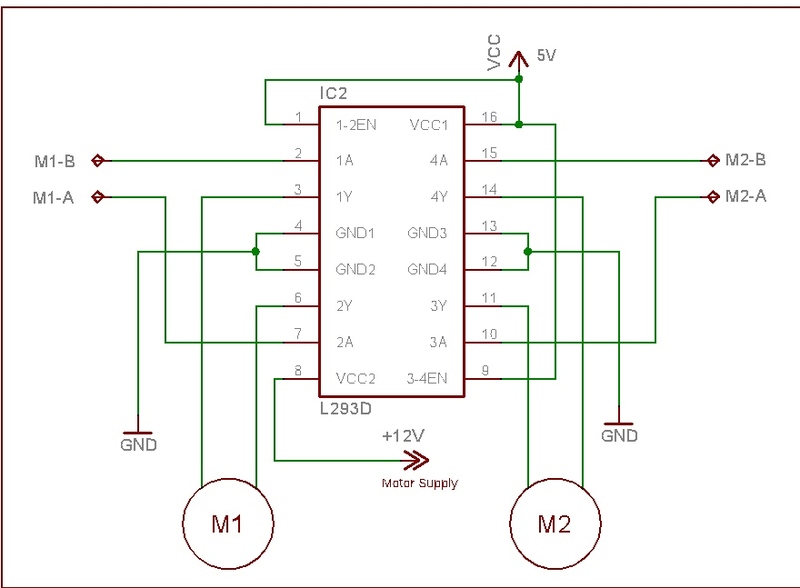 MOTOR DRIVER(L293D): The IC-l293d is well known driving the motor these motor are basically work on different voltages so to drive these motor by the signals from Op-Amp we use these motor driver IC. Their are many motor driver Ic in the market but we use the L293D because it is easily available in market. The figure of L293D can be shown. Also the pin description is very important to understand the configuration of the IC. here M1 and M2 are use to show the motors used in the robot.M1-A or M1-B is use to run the motor in forward direction or in the reverse direction. 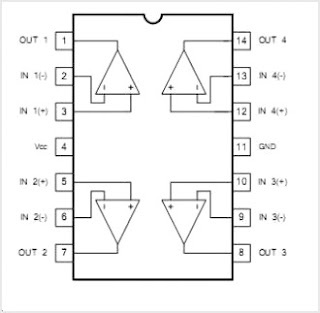 FINAL CIRCUIT: The final circuit can be shown in the figure below. 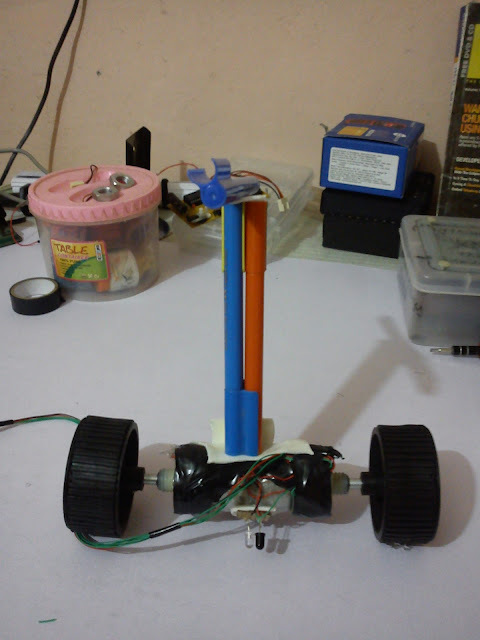 VIDEO OF THE ROBOT:This is the video demonstration of the robot that how the auto balance robot is working. PROJECT PHOTOS: Images of the projects are here. LOOOOOL....very funny...haa..haa..haa its not a balancing, vibrating!! !